analytical tasks for you at scheduled times. 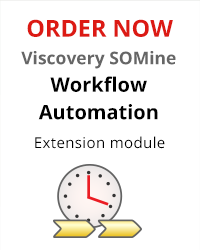 The Workflow Automation Services constitute a tool package available to complement Viscovery SOMine modules. The package provides dedicated services for the automated execution of each of the five workflow types of Viscovery SOMine. User interaction with the tool package is performed through the Viscovery SOMine interface. Scheduled services run on behalf of the user, but do not require the user to be logged in on the computer. 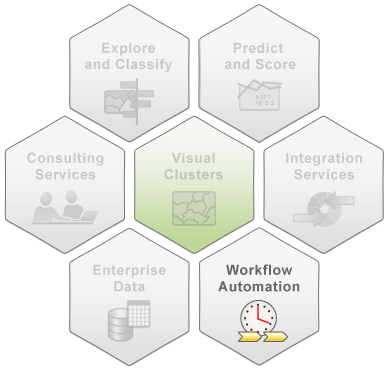 Re-use of completed workflows as "process patterns"
For a complete list of features, view the Workflow Automation Services data sheet.